Well it was only a matter of time until Johnny Football showed up at the FFCA Headquarters to talk shop with Jon Gruden. Now we all know Chuckie has a reputation for loving everyone that he covers in football. 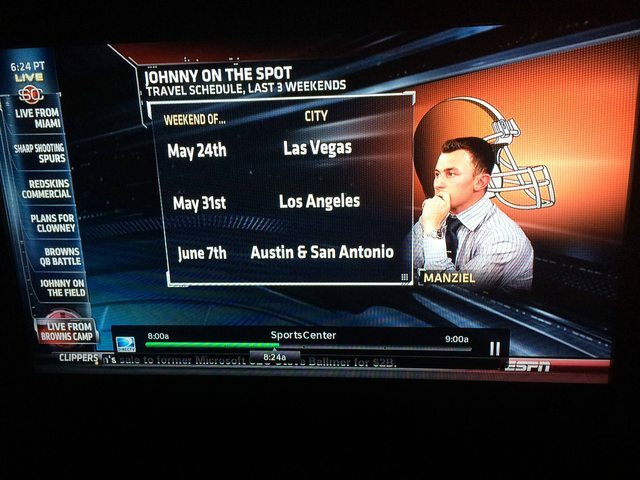 But you just KNOW that Gruden wishes he was Johnny Football. A young stud who already has a Heisman, a ton of A&M/SEC/NCAA records, and countless co-ed pelts on his wall? Once the cameras went off, I guarantee he cracked open a 12-pack and asked if he could smell Johnny’s fingers. As long as Manziel does not end up on an NFC East team, he will be right at the top of my list of favorite players in the league off the bat. And if by some chance an NFC East team does draft him? I guess I will just have to sit in a dark room on Sundays in the Fall and Winter. Obviously he will have to be on his best behavior until the draft and maybe until he is entrenched as a starter? But once he becomes a successful QB in the NFL? Watch out. 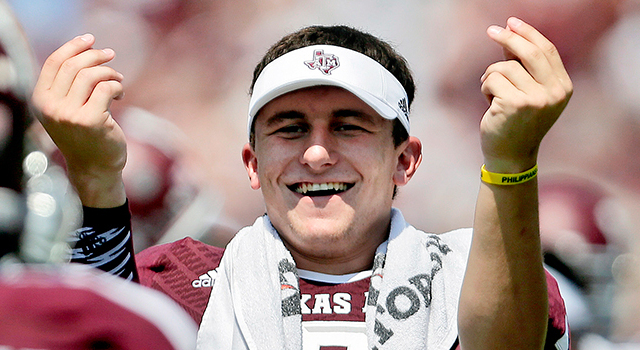 Do the damn thang, Johnny.